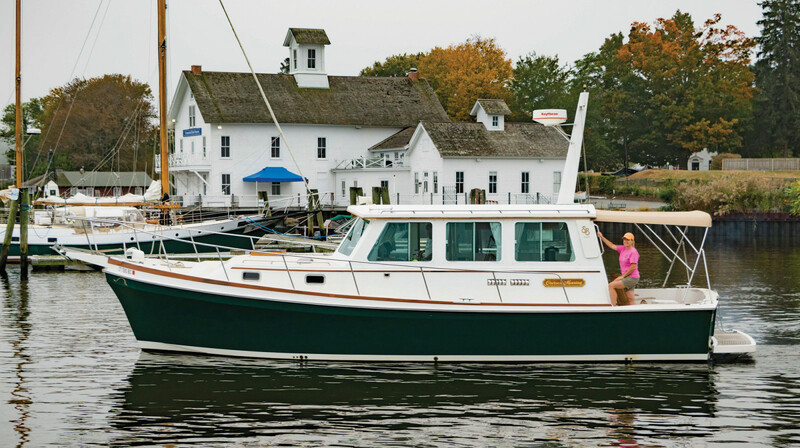 The Eastbay 43 became one of Grand Banks’ most popular Downeast-style designs. What’s in a boat name? Sometimes, a lot. Take the name Impetuous. It’s an adjective that can mean “acting or done quickly.” It also tells the tale of Scott and Sara Conner and their 43-foot Downeast cabin cruiser. The boat would serve as a movable home on the water. With their flexible careers (he’s in real estate, she’s an independent TV producer), the 50-year-olds could mix business and boating. “As long as Scott has a Wi-Fi connection, he’s good,” Sara says. They looked at more boats. Then they went back to the Eastbay for a second look. That was all it took. “Her aesthetic is old-school beautiful,” Sara says. For Scott, it was the saloon and flybridge helms. “I love the flexibility of being able to go up to the flybridge,” he says. “The twin helm stations were huge for me.” The galley had all the amenities for long stays on board, and, with two staterooms and a convertible settee, there was room for family and friends—and their labradoodle. Sara called her parents, who had lived on a Grand Banks trawler for five years. “Should we do this?” she asked. “Absolutely,” was the answer. Scott and Sara Conner aboard Impetuous. 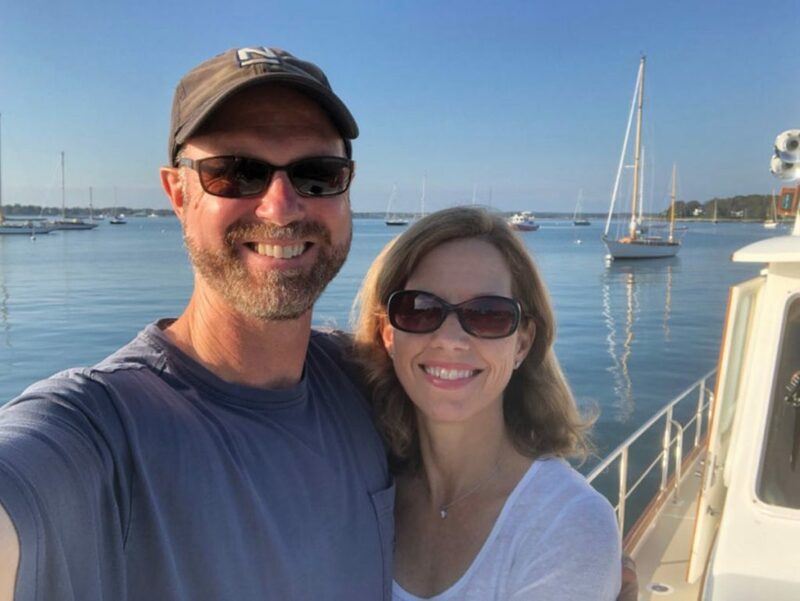 Sara and Scott bought the boat for around $300,000 just before the 2016 season, through Leslie Quarrier at Essex Yacht Sales in Essex, Connecticut. 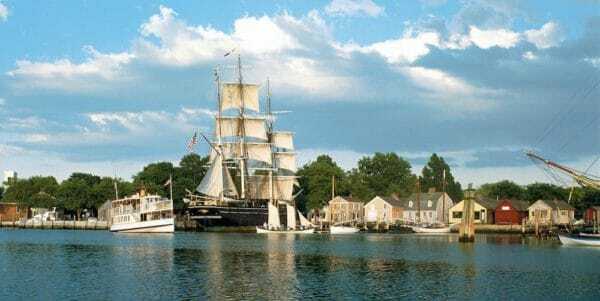 The ultimate destination was Nantucket, she says, but while cruising through Connecticut and Massachusetts, they also stopped in Mystic, Watch Hill, Cuttyhunk and Martha’s Vineyard. Even fog-bound in Nantucket, they enjoyed their time on board. “Even if you’re socked in, it’s like you’re home,” Scott says of the Eastbay. The Powerboat Guide calls the Eastbay 43 Flybridge a “gold-plated flybridge yacht with timeless Downeast styling.” It rides a modern, deep-V fiberglass hull with propeller pockets to reduce draft. The standard layout had a V-berth forward in the master stateroom with an adjacent head compartment and a guest stateroom amidships to port. The galley-up was to port in the saloon, with a dinette (convertible to a berth) across the way and two head compartments. An alternate layout put an island berth in the master suite, moved the galley down and moved the second stateroom to starboard. Additional seating was added to the saloon. Both versions had a lower helm station to starboard, a flybridge with a centerline helm station and companion seating. The open cockpit had a transom door for access to the swim platform. Power came from Caterpillar diesels; the standard 300-hp models rendered a cruising speed of 20 to 22 mph. Larger engines gave the Eastbay 43 a top end as high as 25 mph. This article originally appeared in the January 2019 issue of Soundings. The Shannon Voyager 36 is such a vessel. It was first built in 1991 as a flybridge yacht, just as Down East cruisers were enjoying phenomenal growth in popularity. Chelsea Morningis Hull No. 9, built in 1993 without a flybridge at the original owner’s request. This Rhode Island-based builder of semicustom offshore sailing yachts, founded in 1975 by Walter Schulz, has a long history of satisfying this type of individual preference. We all know the feeling. Walking off the dock after a day on the water, you can’t resist turning around and taking one last look at your boat. There’s just something about her. Rich and Betsy Didan get that feeling when they pause to admire their 2005 Grand Banks 42 Europa. It’s a wonderful little thrill. The Didans bought their boat — hull No. 1560, the last 42 Europa before the model was retired — this past summer. The price for the turnkey vessel was $550,000. It’s powered with twin 450-hp Caterpillar 3126B diesels, the layout is original, the high-gloss teak in the saloon and staterooms is in excellent condition, and just a few minor fixes were needed, Didan says. Paradis replaced a well- appointed Mainship Pilot Rum Runner II, which had replaced a cuddy inboard. 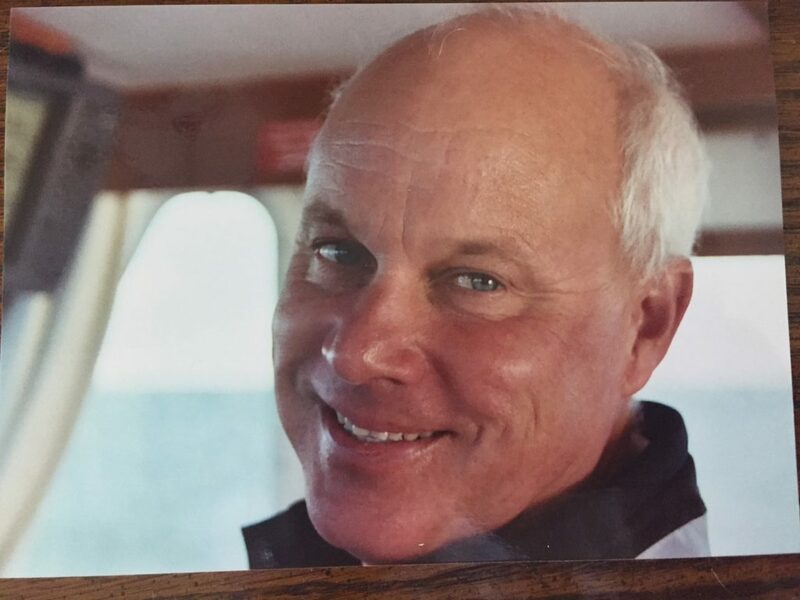 The cuddy replaced the couple’s first boat, an O’Day 22 sailboat that they sailed on Candlewood Lake near Danbury, Connecticut. 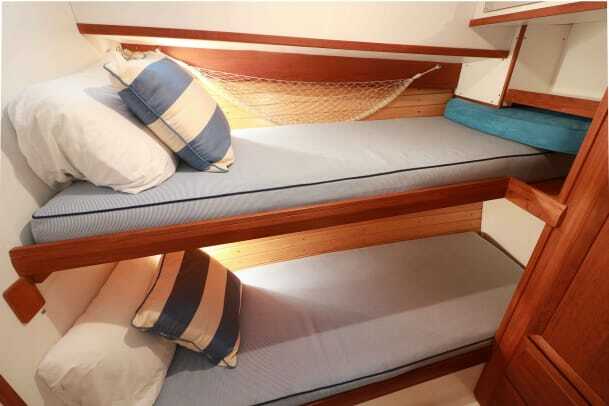 “When our daughter was a teen, we moved to the Cobalt 233 cuddy and enjoyed staying on board overnight,” Didan says. “After our daughter left for college, we were empty-nesting, and our thoughts turned back to our dream of owning a coastal cruiser.” The Mainship filled that need quite well. A season of fishing and cruising followed. “Two of our favorite places are Brewer Stirling [marina] in Greenport and our very favorite spot to overnight, the anchorage in Coecles Harbor,” Didan says. “The peacefulness and sunsets are spectacular.” Sometimes the couple stay at their slip at Brewer Essex Island Marina, hanging out with their friends. There’s more on the Europa’s upcoming itinerary, too. The couple will be retiring soon, and their plan is to “travel some distances,” as Didan puts it, cruising up the East Coast to Maine, taking the Hudson River route up toward the Erie Canal and the Great Lakes — maybe even venturing south to the Carolinas. 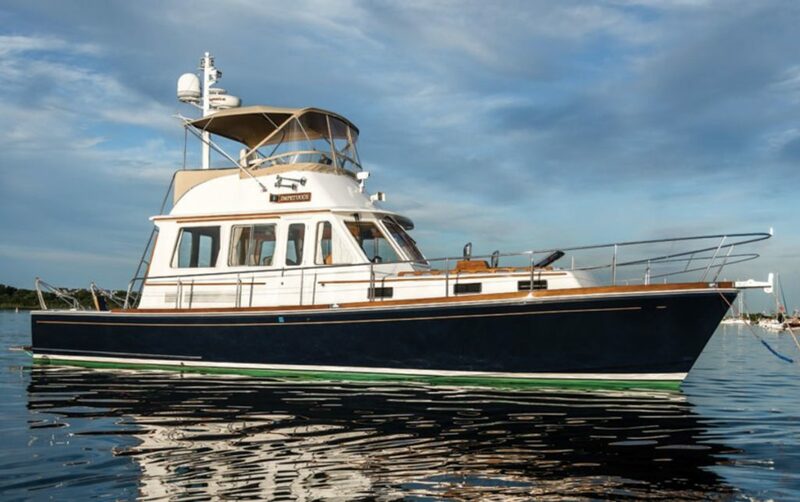 PowerBoat Guide calls the Grand Banks 42 Europa an “elegant sedan trawler.” Classic features include a pilothouse saloon, distinctive bulwarks and a trunk cabin, with bridge overhangs defining the model. The flybridge, reached by a ladder, has a full helm station, passenger seating and room for dinghy stowage aft, with a boom for launching. Below the waterline, the Europa rides a semidisplacement hull with a full keel and protected prop. Original power choices ranged from twin 210-hp diesels to 375-hp power plants that delivered a 15- to 17-mph cruising speed. Cruising fuel capacity is 600 gallons. 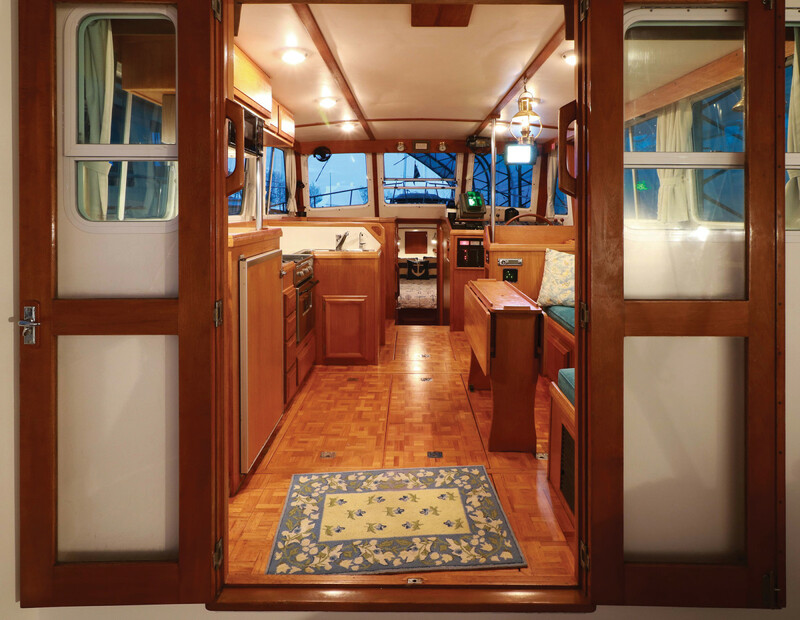 The interior, richly finished in varnished teak, has a twin-stateroom layout. The master is forward, with a queen-size island berth and an adjacent head compartment with a shower. 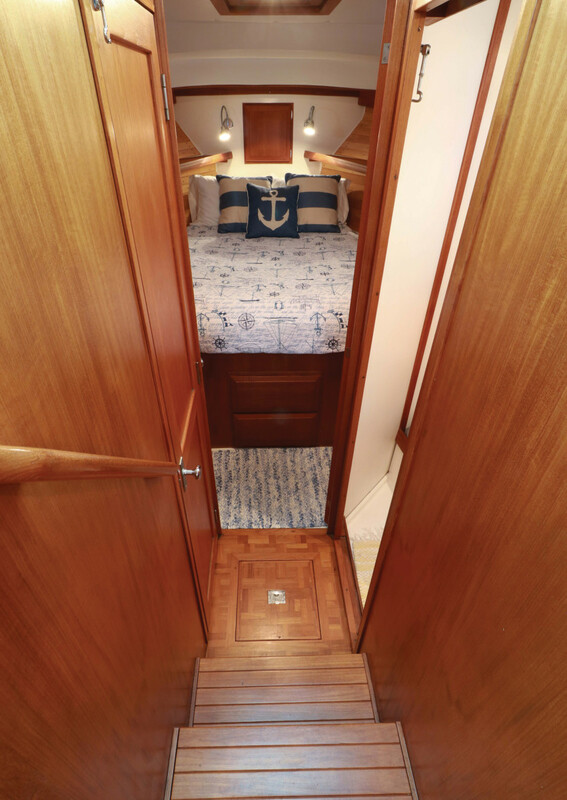 The second stateroom, amidships, is laid out with a double berth and a head compartment with a shower stall. The U-shaped galley is up and convenient to the saloon and to the L-shaped dining area with lounge seating. Galley gear includes a cooktop, stove and refrigerator. In the early 1960s, American Robert Newton and his two sons were building custom sailboats and powerboats on Junk Bay in Hong Kong. 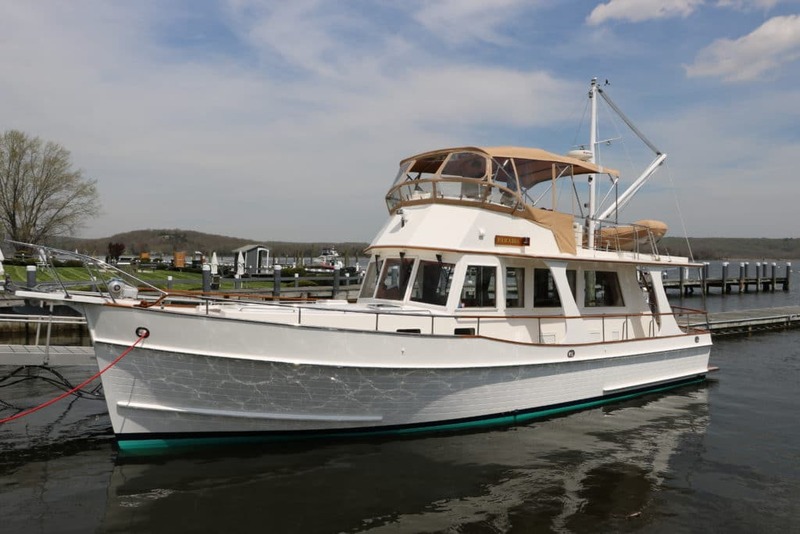 In 1963, they launched a 36-foot trawler-style cruiser designed by Ken Smith. They called her Spray. The boat was such a success that the builder devoted itself to the design. Called the Grand Banks, it and its successors were pioneers in the trawler yacht market. Terrific Eastbay Rendezvous at Mystic Seaport. 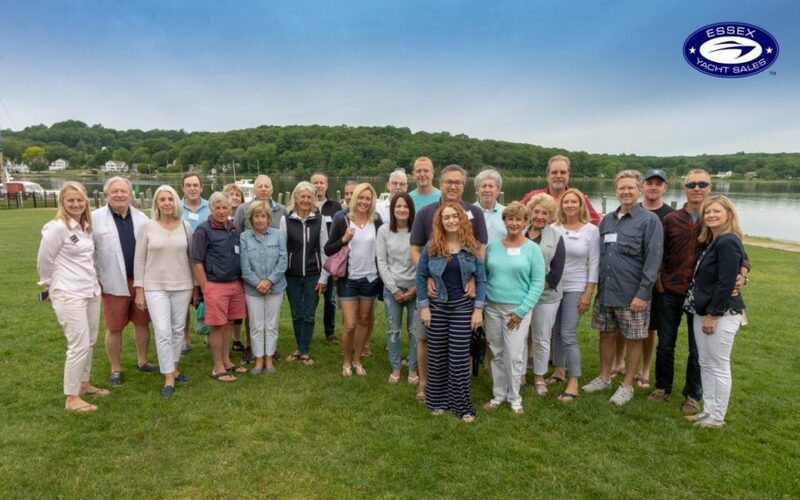 Nicholas Bell, SVP Curatorial Affairs, spoke at the breakfast hosted by Essex Yacht Sales. 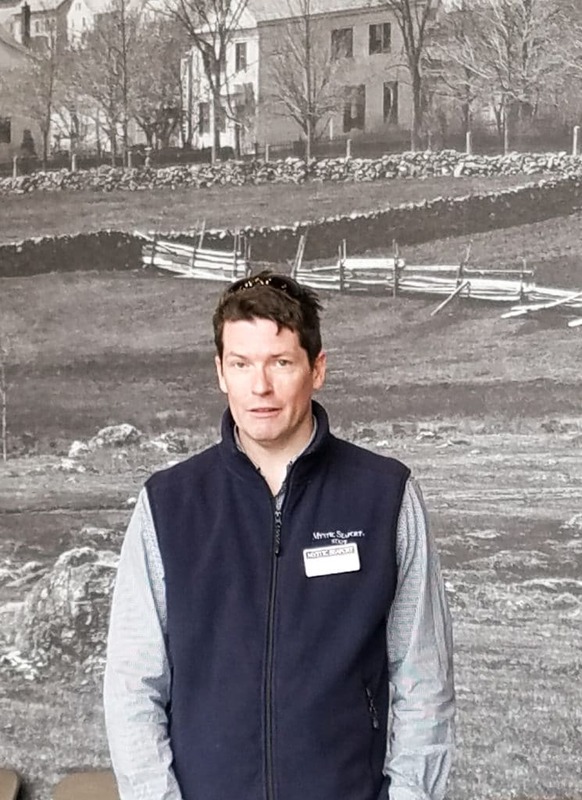 Nicholas is pictured below, in the Masin Conference Room, in front of the classic Everett Scholfield photograph of Mystic in 1874. Drone footage may be viewed below, made available by courtesy of our friends at Mystic Seaport. Visit us at the Nimbus display. Essex Yacht Sales has been appointed Strategic Sales Partner to Delta Powerboats. Event postponed by Mystic Shipyard due to possible inclement weather. Will likely be rescheduled for June. 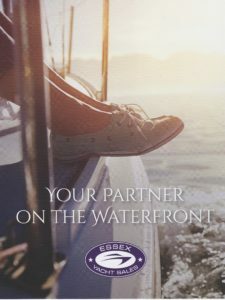 The weekend is graciously sponsored by the Gowrie Group, with Essex Yacht Sales sponsoring the Sunday breakfast. 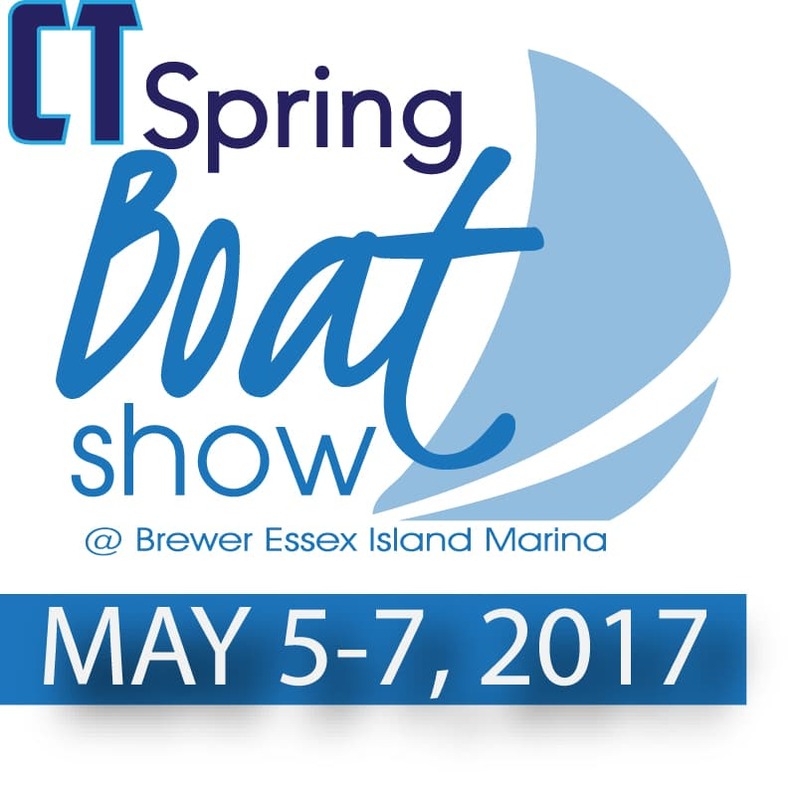 Essex Yacht Sales displayed three important yachts at the 2016 Newport Brokerage Show. 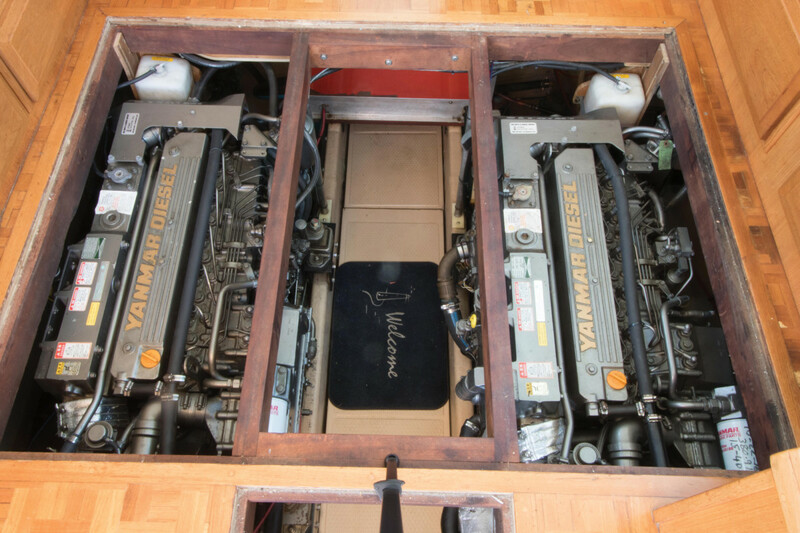 These were: 2014 Eastbay 50SX, 2015 MJM 40z, and 2000 Grand Banks 52 Motoryacht. With four full days of glorious fall sunshine, and terrific boats, show traffic was strong. 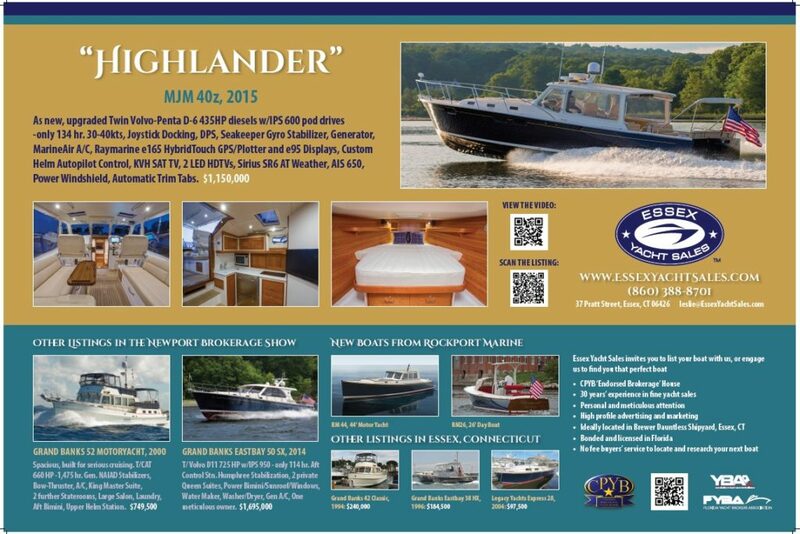 See Esse x Yacht Sales at the Newport Brokerage Show, (held in association with the Newport International Boat Show). 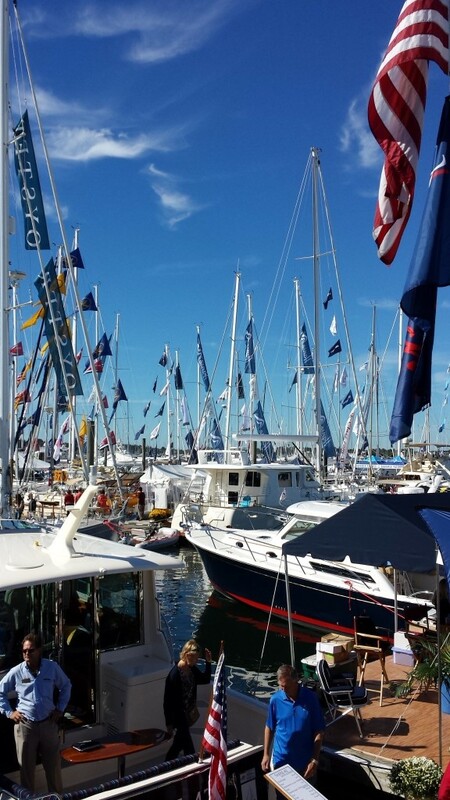 The In-Water Brokerage Show is held at the Newport Shipyard. Over 100 quality yachts will be on display from 40' - 140'. Admission the Brokerage Show is free. Convenient, fast, water shuttles run continuously during show hours to link the New and Brokerage Shows. 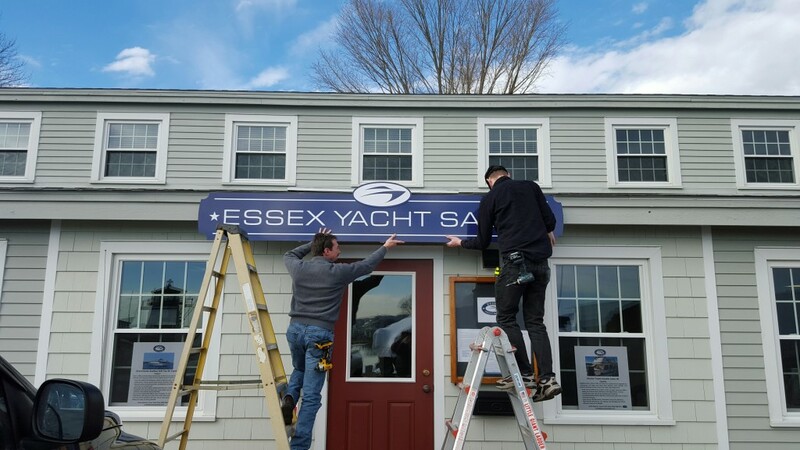 Essex Yacht Sales announces a new marketing alliance with renowned custom boat builder and designer Rockport Marine, of Rockport, Maine. 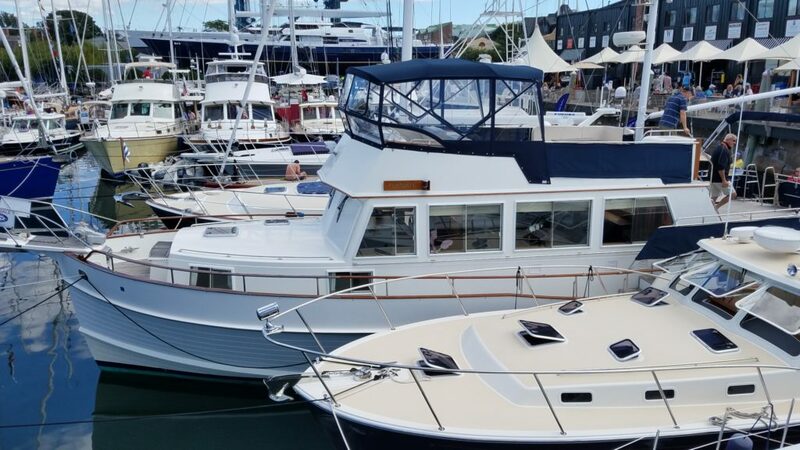 Under the terms of this alliance, Essex Yacht Sales will proudly offer Rockport Marine’s exceptional RM26 classic New England day boat and the new RM44 Express.